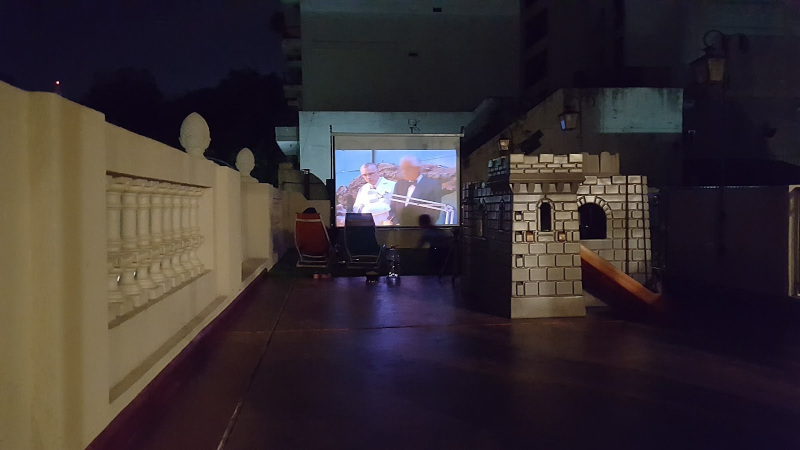 Another element we wanted to have on our roof terrace was to have an open air cinema where we could watch movies and netflix under the stars. For the terrace cinema, we looked at several options such as putting up an extra wall to project, but we wanted to leave as much as possible open space as we live in the city. 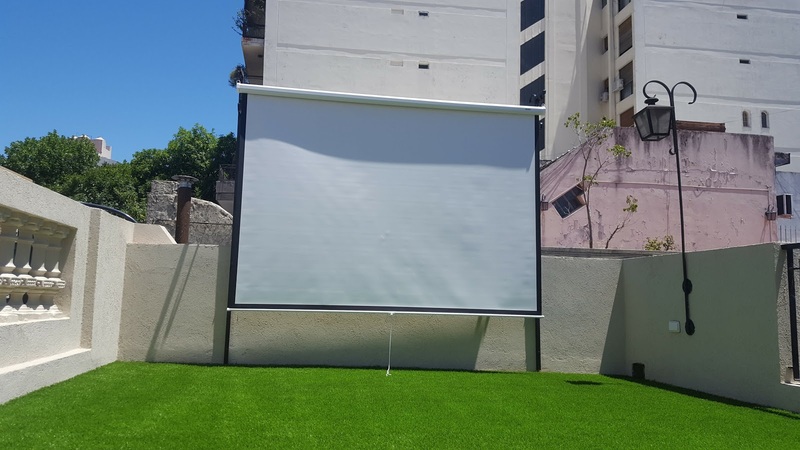 At the end we decided to use a retractable movie screen, so that we had a large screen surface when needed, but could also take it away if not needed and not be too intrusive. The screen is 3.5 meters wide from Loch with 4:3 ratio and fully retractable that rolls up automatically by just pulling it a bit down quicker. 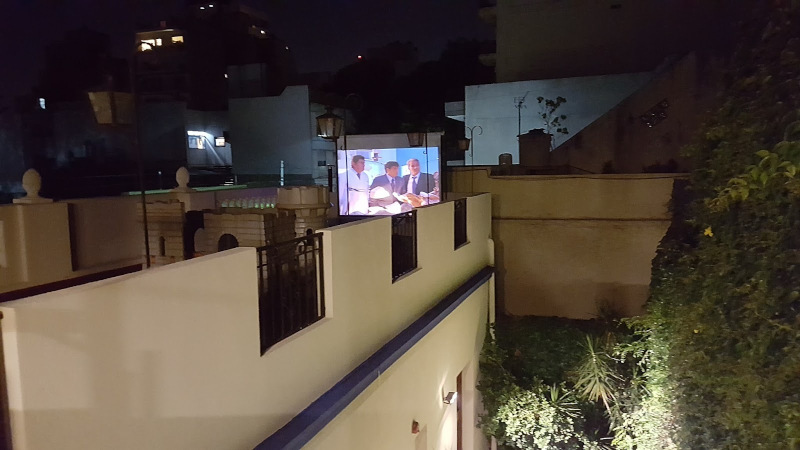 The reflection of the screen is great, and in the evening and night we can enjoy watching movies with different dimensions dependent on the size of the movie. 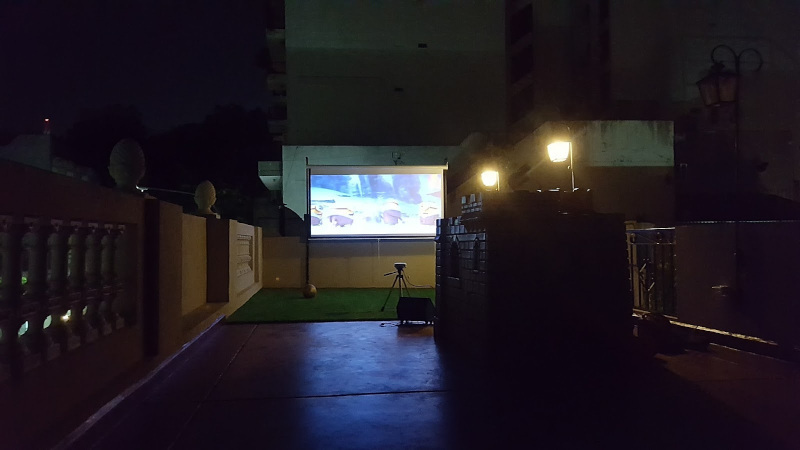 The projector is a small sized LG PW600G (the newer model is LG PV150G) that stands on a tripod in front of the screen. The projector has wifi connection that can connect with your phone without cable which is ideal to navigate and use netflix or youtube. To hang the screen, we used hooks attached to 2 large metal columns of 2.4 meters height. 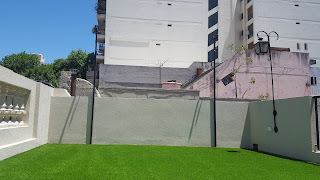 As you can see, the screen can be attached and hung and detached when needed. 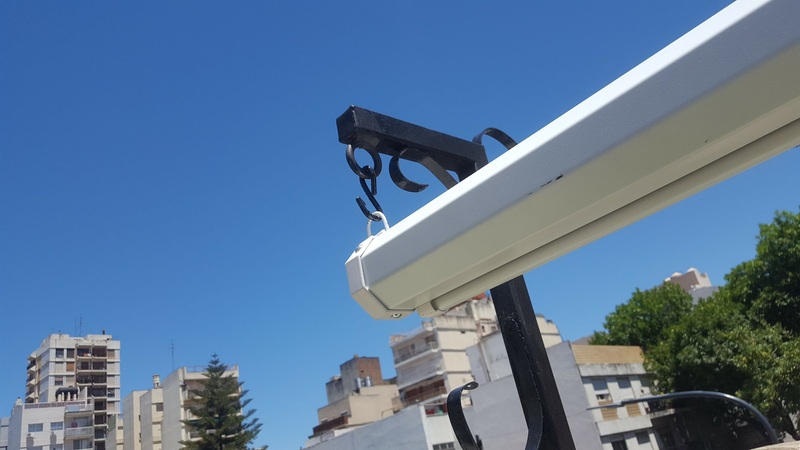 When we do not use the screen, we hang it inside the terrace room to keep it dry and safe. Here you can see how one person can hang the screen very easily within a minute by attaching it to one of the hooks first and then the other one. We installed a special external wifi antenna on the terrace, so we had better connection on the terrace and can easily connect a device to internet. 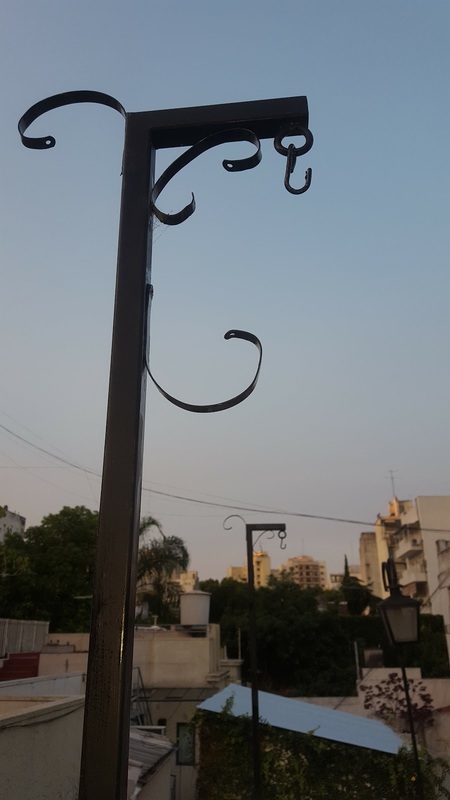 It is really enjoy full with large audience to watch this open air cinema under the stars, yet another key element in the design has been accomplished.